My official tribute to the late great "Gord Downie", a True Icon. What Gord Downie means to me is much more than any athlete,politician Prime Minister or President could ever try to be. His last performance in his hometown of Kingston, Ontario. 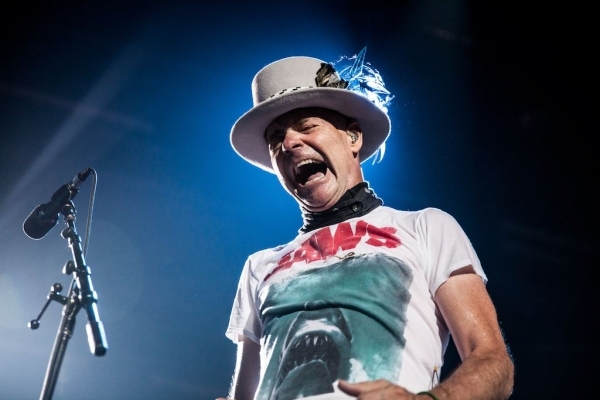 Downie, along with The Tragically Hip, was watched by over 50% of all Canadians is just a testament about how much his presence commanded such respect.As a person I'm one of many that did'nt know him personally, but the documentation of his humanitarian efforts made me feal like we were life long friends. He did so effortlessly what artists like Bono for instance have been struggling to bring to the forefront for years without making a political statement. He brought people of a nation from all walks of life together. Long live the the legacy that is.Gord Downie.